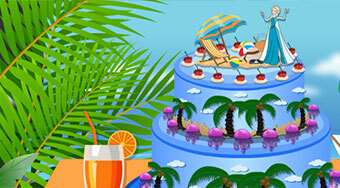 Do you like Elsa Beach Cake? Share it with your friends. Help Elsa to prepare the most beautiful birthday cake for her sister Ann.